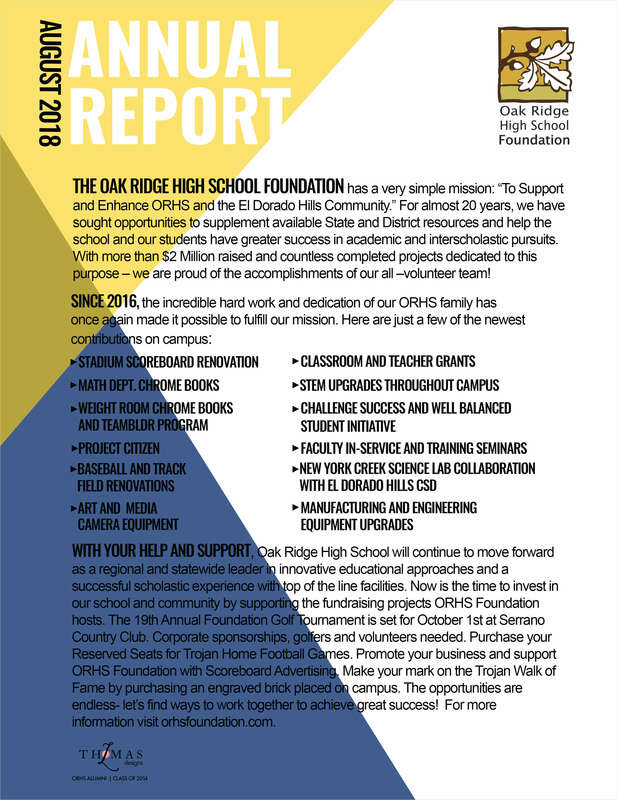 The Mission of the Oak Ridge Foundation is to support and enhance Oak Ridge High School and the El Dorado Hills Community by promoting interscholastic, academic, and cultural programs as well as capital improvements that promote continual learning. We are a qualified 501(c)(3) charitable organization and are entirely non-profit. Your investment in ORHS will nuture and educate future generations of El Dorado Hills students. Every donation, no matter how large or small, counts! 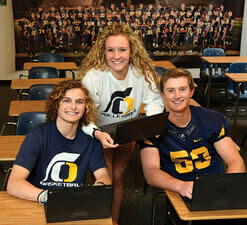 The members of the Oak Ridge High School Foundation are a tenacious bunch. 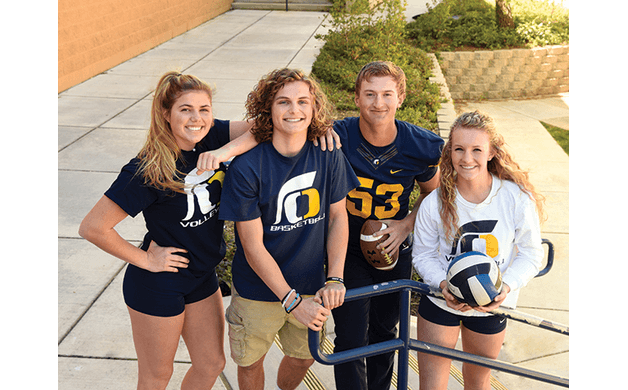 In fact, you could say that just like Trojans, the school’s mascot, this group of parents, alumni and community members are warriors—dauntless in their quest to make Oak Ridge High School one of the top-performing high schools in California. Nearly two decades ago—when Oak Ridge had a much smaller school population and El Dorado Hills was on the verge of a huge housing boom—Ann Root and Anthony Scotch recognized the need for the community to provide more to the school, so the two launched the foundation and began conducting fund-raisers and donation drives. One of their first contributions was assisting in building a new football stadium. “With vision, determination and hard work, Trojan Stadium rose to be the standard for the El Dorado Union High School District’s athletic competition facilities,” President Brooke Van Komen explains. Van Komen has been involved with Oak Ridge High School for the past eight years in various capacities, including Sports Boosters, chairman of the Blue and Gold Auction, a parent volunteer supporting ASB Leadership, and secretary to the foundation before assuming her current role as president. “I literally became involved by going to teachers and administration and asking, ‘How can I help?’” she says. This summer and fall, the foundation will coordinate a football ticket sale fund-raiser for the Trojans (reserved seats for all varsity home games—much like season tickets for college or pro teams). Plans are also in the works for the 18th annual ORHS Foundation Golf Tournament at Serrano Country Club on October 2.